How has writing the Spellcaster series differed from writing your previous novels? For me the main difference has been telling a story through multiple points of view. All my previous novels had only one POV character - which is a lot of fun in terms of fully immersing into that character, but also very rigidly structures the storytelling. The reader can only get information when and how the character learns it. With multiple POVs, like I have with the SPELLCASTER series, I get to play with suspense a little more -- sometimes characters can't share what they know right away, or choose not to. Plus I find it fun to sink into all these people's minds and world views. It adds a lot of variety to the writing experience. 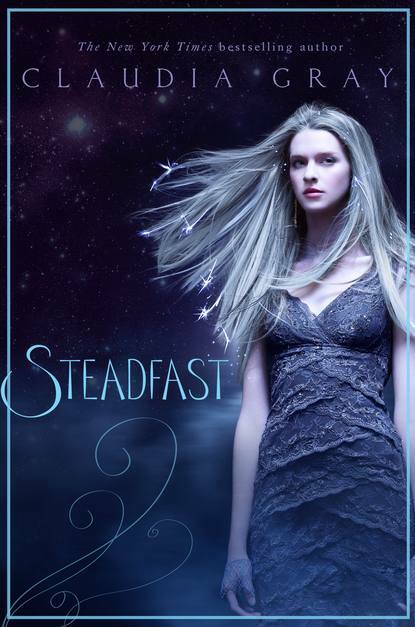 Who is your favorite character in Steadfast? Why? I'm lucky enough to have an office, which -- after writing about seven books on my old sofa -- is a luxury I greatly appreciate. It's in the back of my house, so there's not much street noise, and I have both a desk and a smaller sofa to work on. Plus my bookshelves are in there, so I'm surrounded by stories; I find that comforting, when I'm writing. There's no view to speak of, which is probably for the best. And fairy lights hang alongside the window. For absolutely no reason I can name, I love to write by fairy lights. I think I'm actually more productive that way. Should schools have fairy lights in the classroom? I say yes. If the Spellcaster series had a theme song what would it be? If you're looking for a love theme, though, it's "Cosmic Love" by Florence & the Machine. I know it's still early but can you tell us anything about Sorceress? I live in New York City. So far, in life, I've been a disc jockey, a lawyer, a journalist and an extremely bad waitress, just to name a few. I especially like to spend time traveling, hiking, reading, and listening to music. More than anything else, I enjoy writing.